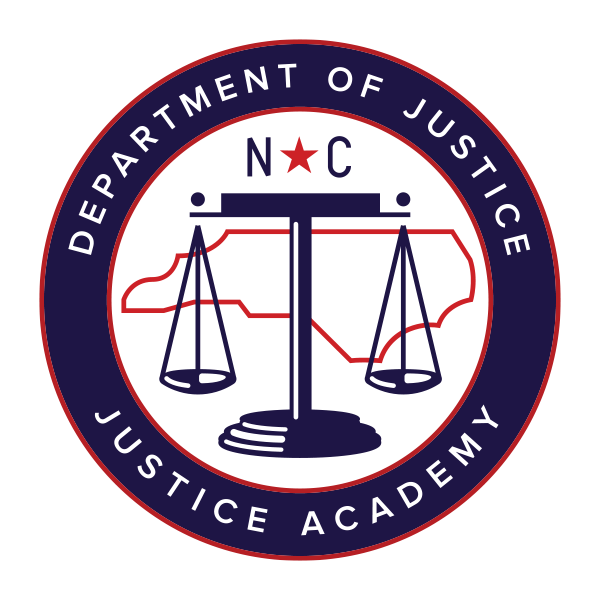 The North Carolina Justice Academy would appreciate your willingness to complete the survey below. Your responses will be used to assist the Academy in continuing to provide a quality training experience for you on both of our campuses. We welcome any comments or suggestions. * 1. The Academy staff present themselves in a professional and courteous manner. * 2. The Academy staff are helpful when my agency contacts them. * 3. Academy Instructors display positive attitudes and behavior toward client personnel. * 4. The Academy Instructors and staff are competent. * 5. My stay on campus was comfortable. * 6. The Academy responds to the overall training needs of my agency. * 7. The Academy provides an environment conducive for learning and training. * 8. I feel the Academy offers a safe training environment. * 9. The Academy website is a valuable source of information for my agency. * 10. Are there additional courses which you would like to see the Academy offer? * 11. Please provide us with any additional recommendations or suggestions for improvement regarding your Academy experience. If there is an immediate need such as insects, mold or dangerous condition on campus, please contact the dorm office. * 13. What is the name of the course that you attended? * 14. Where did you reside during your training? * 15. If you would like someone to respond to your concerns from the NC Justice Academy, please provide contact information below.